PetSilver® is a exclusive formulation of "Chelated" Silver used for a variety of skin conditions for all pets. 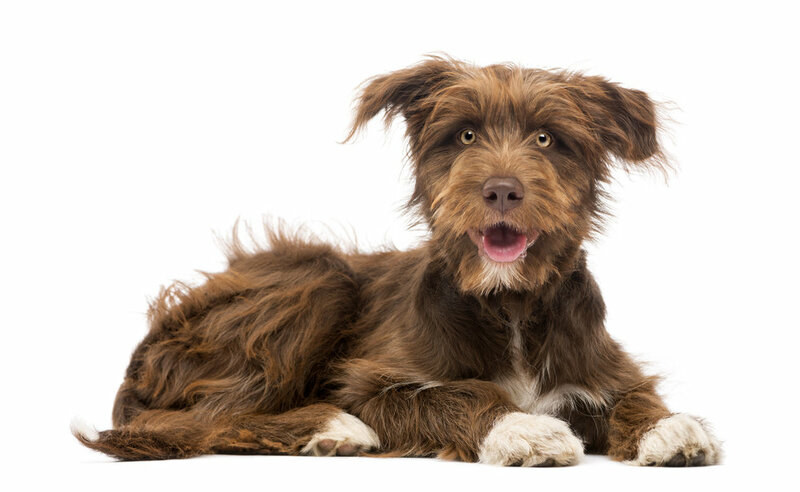 PetSilver® can be used on a variety of skin issues, including hot spots, cuts, burns, abrasions, open wounds, bacterial infections, flea and tick bites skin rashes and dermatitis... and it's safe to ingest . 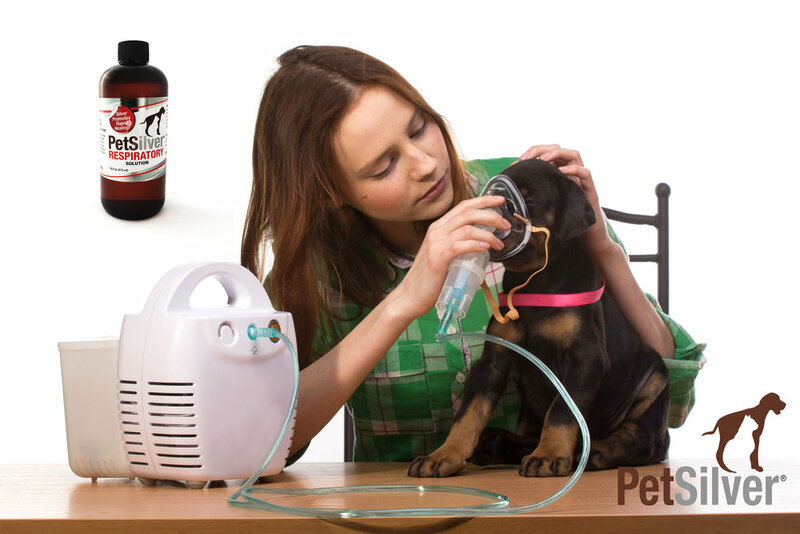 PetSilver® is 100% natural and non-toxic and testing has shown to kill over 650 disease causing organisms. PetSilver® has also shown to relieve pain and itching while reducing inflammation. The presence of silver near a virus, fungus, bacteria or other single pathogens disables its oxygen metabolism enzyme and within 4-6 minutes the pathogen suffocates and dies. Unlike pharmaceutical antibiotics, which also destroy beneficial enzymes, PetSilver® leaves these tissues-cell enzymes intact. Exclusive chelated silver has proven to be a remedy and prevention to many infections and the fermentation of various bacteria. Chelated silver is silver ions in solution. It is vastly different from the more popular form of silver-based dietary supplement products known as colloidal silver, which is silver particles in suspension. In colloidal silver, finely divided particles of silver are in suspension (or floating) in liquids – and are not evenly dispersed. In CHELATED SILVER™, the silver ions are chemically bonded to nonmetallic ions, and are therefore evenly dispersed throughout the solution. This bonding in solution considerably enhances Chelated silver’s antimicrobal action and persistance (killing power over time). Silver is amazingly beneficial in a myriad of ways. In fact, many of the medical uses of silver have been studied by the Silver Institute in Washington, D.C., which has published information about the use of silver in purifying water, promoting skin growth, treating wounds of severely burned patients, protecting eyes, helping people with allergies, eliminating harmful bacteria, and even anticancer activity. Chelated silver is highly effective in blocking the respiration of microorganisms, killing them in the process. However, scientific tests revealed that some of the most unfriendly body bacteria do not need oxygen for their survival. They exist off the specific enzymes your body produces. It is believed that CHELATED SILVER acts as a additional catalyst in destroying those specific enzymes that the bacteria use for nourishment to survive. Chelated Silver is the active ingredient in PetSilver. Microscopic particles of silver are evenly dispersed throughout a healthful, skin-loving solution. Chelated Silver is a clear liquid, that typically turns light gold in color over time as the silver reacts with the air. It is non-drying because it does not contain alcohol, chlorine or iodine-based chemicals. It may therefore be used as often as desired. Testing has proven that our new exclusive formulated Chelated Silver products are performing much as expected versus our previous colloidal silver products. The definition below will explain why we made the change to chelated vs. colloidal process. The word “chelated” refers to a substance consisting of molecules that bind tightly to metal atoms, thus forcing the metal atoms to go wherever the chelators goes. The bound pair — chelators plus metal atom — is called a “chelate”. Chelators are intended to carry atoms into the body, or into the cells themselves, in larger amounts than the body would normally allow. It is proposed that the chelators are treated as desirable molecules by the recognition systems in cell walls, and are therefore given entry into the cells. When this process occurs in the cells, PetSilver gains entry to the bloodstream; when it occurs in the cells lining the blood vessels, this will also allow the PetSilver gain entry to other body tissues. Colloids are materials made up of solid particles of such small size that when dispersed in water they remain in suspension rather than sinking. “Colloidal mineral” supplements consist of mineral salts or other mineral compounds converted into colloidal form, either by grinding or by rapid crystallization. Most colloidal substances are poorly bioavailable, since the colloidal particles, small as they are, are nevertheless far too large to be intestinally absorbed whole, and nearly all of the active ingredients are trapped in the interior of the particles, where they cannot come into contact with the transport channels in the cells. However, if a colloidal substance can dissolve into the cell, it would then release it’s particles for potential absorption. PETSILVER® the superior silver Silver has been known for 100's of years for the healing power... now it just got better!